I n a dark, unlit corner of our furnace room, there are shelves lined with tubs for every holiday. Most of the tubs hold Christmas decorations, but there is a tub for Easter and two tubs for Halloween. This past weekend, I took a lantern into the space, found the Halloween tubs and dragged them upstairs. As I was pulling out wreaths, lights and decorations, something tickled my ear. I brushed at it then continued to work. Then I felt a tickle on my forehead and brushed at it again. 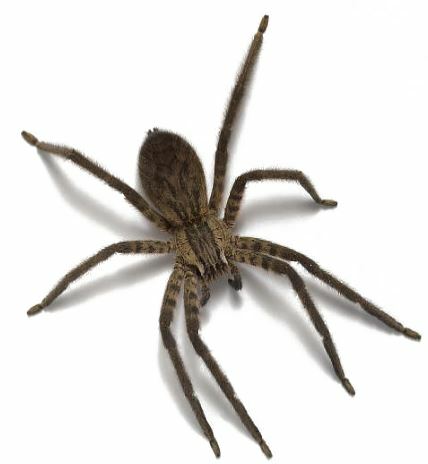 A huge spider dropped to the floor and began to scamper away. I admit I was a bit freaked out, and my thoughts immediately jumped to the possibility that it was a brown recluse spider. But there was a another part of me that felt sorry for the spider and guilty that I had disturbed it. I managed to coax it onto a hanger and carry it to freedom outside. Later, after my heart stopped beating so hard, I realized I’d never even considered killing it. Recognizing I can be kind even when I’m scared always makes me smile. Posted on October 16, 2013, in Family, My life, perspective and tagged 365 reasons to smile, Halloween, kindness, musings, perspective, smiles, spider, spiders. Bookmark the permalink. 87 Comments.